Boost your brand and generate demand alongside the most respected and authoritative content on digital marketing, media and commerce. eMarketer advertising and sponsorship vehicles showcase brands and drive the highest quality leads from a large and loyal audience of influential brand marketers, agency executives and publishers. eMarketer is an indispensable resource for influential brand marketers, agency executives and publishers. They visit eMarketer regularly to help them make sense of the shifting media and marketing landscape, and for quick and easy access to the objective information they need to make better, more informed business decisions. eMarketer is also relied upon as a top performing advertising vehicle for generating awareness, distributing thought leadership and driving demand. In this increasingly competitive and noisy business environment, it’s vital for companies to differentiate and position their offerings and quality of service from the competition and keep their brand top of mind with purchase influencers worldwide. 76% specify and/or authorize purchases. Daily briefing on digital marketing and media trends. Data- driven and timely for decision makers who need to keep up with the shifting media and marketing landscape. 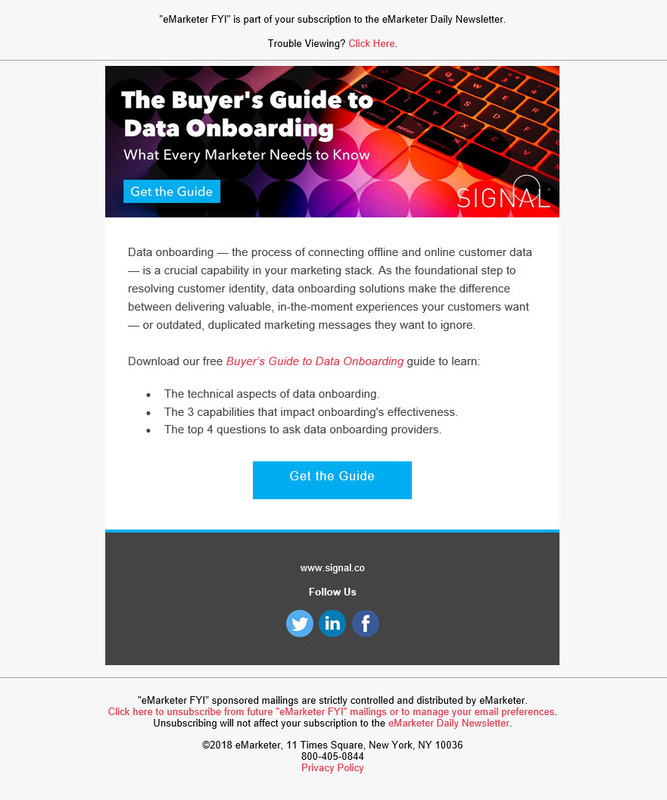 Articles, interviews and industry updates along with eMarketer signature charts. 175,000+ subscribers. Daily dose of data, news and insight essential to keep pace in this new world of commerce, online, in stores and on mobile. A must-read for the entire retail sector. 70,000+ subscribers. Dedicated email program. 160,000+ subscribers. 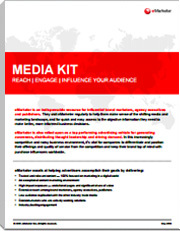 Deliver your message directly to eMarketer’s audience of influential marketers, media and agency execs. 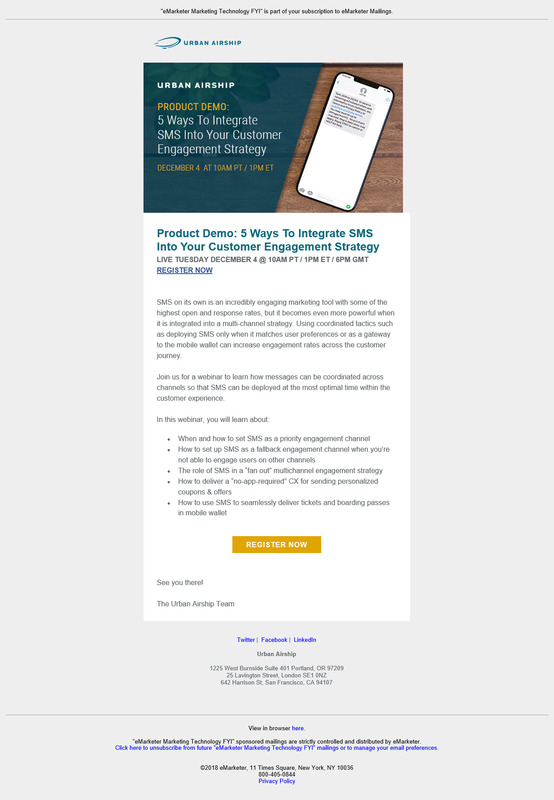 eMarketer FYI mailings are extremely effective for lead generation, especially for whitepaper and webinar promotions. Advertisers benefit from 100% share of voice along with strong brand association with eMarketer. Dedicated Email Program. 66,000+ subscribers. Dedicated Email Program. 50,000+ subscribers. 235,000+ unique visitors monthly. Home to eMarketer articles and webinars. Position your advertising in an editorial environment that is relevant to your business on eMarketer.com. Monthly targeting packages available for Retail & ecommerce and Advertising & Marketing. A sponsored byline within eMarketer’s editorial environment. Submit recent or timely whitepapers, thought leadership pieces, case studies, etc. to eMarketer’s editors, who will assist to ensure your content resonates with our audience. eMarketer sponsorships are exclusive, turn-key programs that utilize eMarketer editorial content, covering topics of interest to the advertiser and target audience. 100% share of voice. eMarketer Meet the Analyst webinars and sponsor-presented Tech Talk Tuesdays. 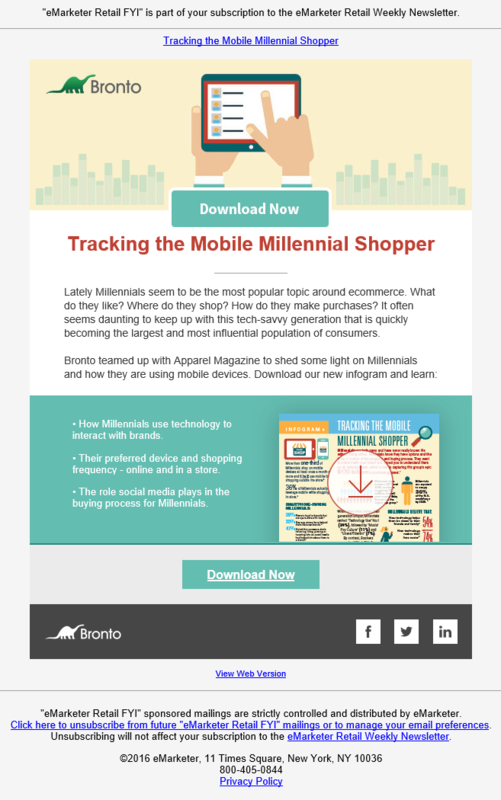 Collection of recent eMarketer articles, charts and interviews. Sponsor an eMarketer quiz on a specific topic. Collection of eMarketer stats, charts, and forecasts. Discuss the ways that digital is transforming media, marketing, business and even life. Gain mindshare and tie your advertising message to thought provoking editorial during key industry events. Have your existing, already recorded webinar, broadcast with an introduction from eMarketer. We will package, market, and host as popular Tech Talk Tuesday on-demand webinar. eMarketer’s regional segmentation capabilities allow us to tailor our content strategy and speak directly to AdRoll’s target prospects around the world with localized messaging, resulting in higher open rates, CTRs, MQLs and ultimately ROI. AdTheorent works with eMarketer because the audience is exactly who we need to engage: senior level brand marketers. The quality of their content, as well as the leads generated using eMarketer programs, help AdTheorent stand out in a sea of industry noise. Even better, their team is always professional and helpful, making doing business with them a pleasure. What I love about working with eMarketer on programs is they are extremely transparent about their reach and audience. You know what you are investing in and the return reflects the premium value they drive. It’s nice to get what you pay for - often much more. Live, interactive video with respected analysts from eMarketer was an effective way for us to connect with our marketer, publisher and agency audiences, about a hot and timely topic. The best part was that the webinar yielded a substantial amount of qualified leads, while positioning ourselves as thought leaders. I am impressed with the ad performance - it's far above what I've seen with other partners. It's the right content going to the right audience, at the right time. Total win for Sailthru's results.